The Liftronic series zero gravity balancers are an evolution of the traditional manipulators named Intelligent Devices for Handling or simply INDEVA. Endowed with advanced microprocessor based logic in place of the traditional pneumatic logic, the INDEVA are not affected by the typical technological limitations of pneumatic manipulators and can achieve a far better performance. The Liftronic series are more compact and lighter compared to traditional industrial manipulators and allow operators to handle loads with greater speed and precision; thanks to their advanced control system the manipulator instantaneously adjust to changes in load mass and operator intent with no manual adjustments are required. By simply grasping the in-line handle or the load itself (float mode) and gently applying force in the desired direction, the operator can handle loads as if they weighed only a few grams. Bespoke lifting tools and the microprocessor programmable logic of the cycle control make Liftronic a unique load handling solution that matches demands in every industry field. VERSATILE: It can be equipped with countless types of lifting tools, (mechanic, magnetic or vacuum), manually, electrically or pneumatically driven. 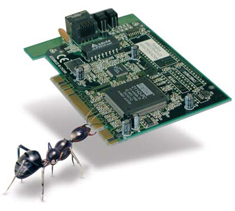 SELF-BALANCING: A microprocessor based device allows the instant and automatic compensation of the load weight. ERGONOMIC: The fingertip control mode by means of an in-line force sensing handle, provides immediate response to the operator’s movement up or down. 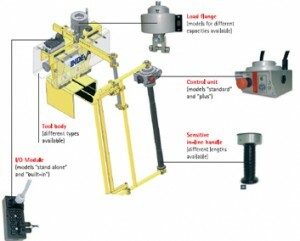 This drastically reduces inertia and allows the system to operate as an extension of the operator’s arm. The float control mode allows direct handling (hands on the load) without handles or buttons. FAST: The latest technology motor drive and electronic control allow for much higher speed than achievable with traditional manipulators. LIGHT: Weighing just 40 kg, so it can be easily applied to light structures. Its lifting tools are lighter and smaller than those used with the pneumatic manipulators and allows for better visibility and easier manoeuvrability. SAFE: A failsafe mechanic lock is triggered in the case of a power shortage and a brake limits the lowering speed of the motor. 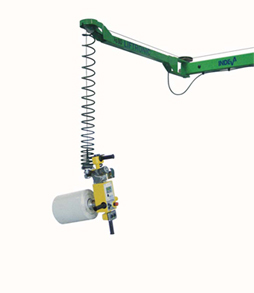 Overhead rail and ceiling mounted models for capacities up to 320 kg are also available. Liftronic® EASY a really cost effective investment with very high short term returns. Different models are available for capacities up to 240 kg and for applications on different supports such as freestanding column, ceiling, overhead rails and jibs. The Universal head: This contains the system logic controlled by a microprocessor. A balancing device automatically and continually detects and compensates the load weight. A special force sensing handle provides extremely fine control of up/down speed, thus drastically reducing inertia. The Float mode function allows operators to perform precision tasks with their hands on the load itself for maximum control. Linear pantograph: By means of a linear pantograph INDEVA it is possible to handle loads of different sizes and configurations by a simple and quick jaws adjustment or replacement. 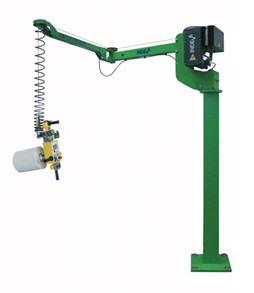 Scissor Grab: Lifting tool easy to adjust to different load sizes. Compact pantograph: 8 configurations of a modular linear pantograph.